We have a suspension system for your truck or Jeep, whether you’re looking for a conservative 2 inch lift, a moderate 6 inch lift or an extreme 10 inch lift. 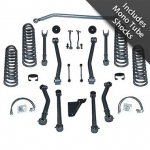 We carry Lift Kits from the top manufacturers that include everything required to get the job done right. 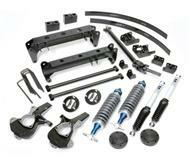 If you’re looking for a suspension upgrade for your truck or Jeep, you need not look anywhere else.